For the first time ever, the notoriously secretive Zenith will be opening its doors every Friday for a glimpse into "Le Monde Étoilé de Zenith", a new tour initiative that will allow guests to see Zenith’s watchmaking world up-close. 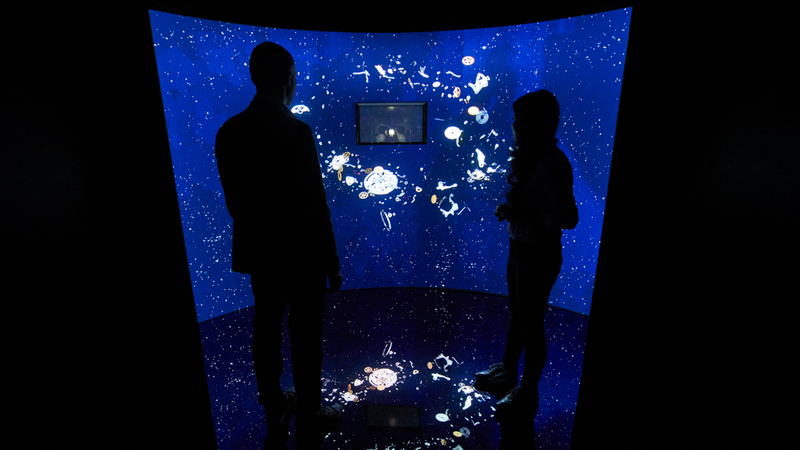 Visitors will now be able to immerse themselves in the world of Zenith through an exhibition at the manufacture that includes a hologram show — plunging guests into the dark and immersing them in a multi-dimensional representation of the inner workings of its prestige watchmaking — followed by a stage-setting highlighting the watchmaker's 153-year-old heritage. Along the way, guests will be able to learn about Zenith's mechanical marvels by tracing their entire journey, from technical development to component production to final movement assembly—which is completed in-house by the company's 80 watch specialists. The initiative was conceived by the Neuchâtel tourism board, which chose Zenith to be a part of its effort to educate the broader public on the time-honored art of fine watchmaking. The push towards experiential introductions to the world of horology is an emerging trend in the industry. So far, the initiatives have been retail focused, with Audemars Piguet announcing the opening this year of Audemars Piguet House—a luxury apartment in Hong Kong built for entertaining clientele outside of the boutique setting. A similar venture already exists in Milan and the watchmaker has plans to open a 2,000-square-foot version in New York City this year. Visitations to Zenith’s factory in Le Locle in Neuchâtel, Switzerland will be available, by reservations only Reservations can be made at explorewatch.swiss.